Over the last two years Moretons, along with the other companies within the Crabtree Group, have raised over £20,000 for SENSE, the charity dedicated to improving the lives and opportunities of deaf blind children and adults. The majority of the money raised has come through taking part in the Ridgewalk; a 24 hour 52 mile endurance walk that takes place around the Oxfordshire and Wiltshire borders. Money has also been raised through raffles, cake sales, quiz nights and individual donations. We are very proud to support the work of this excellent charity and, earlier this month, our efforts were recognised by SENSE when they invited a representative of The Crabtree Group to attend a lunch with HRH Princess Anne. One of our Moretons Directors, Rob Robertson, attended the event and represented all of the staff who had worked hard to raise such a substantial amount of money. The lunch was attended by other fundraisers and partners in the charities work including David Stone, the double medal winning Para-Olympian. 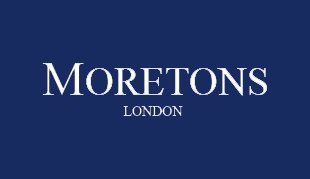 The work with SENSE is just part of Moretons and The Crabtree Group’s commitment to support local and national charities and to ensure that we maintain our clear vision of social and moral responsibility.